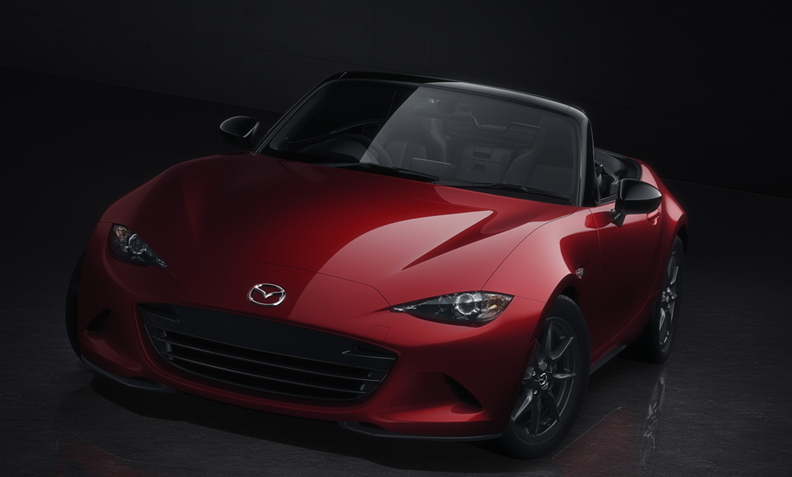 The fourth-generation Mazda MX-5 goes on sale in Europe next year. The fourth-generation Mazda MX-5 instantly reignited a fire in this longtime Miata co-owner. It’s a feeling that the current model -- with its odd-shaped hood and gaping mouth -- could never muster. Our Miata joined the family fleet in 2001, which was about three years into the second generation. The car traveled with my wife and me when we relocated to southern Germany from Florida a year later. To better handle the winters in Bavaria we added snow tires and tossed a bag of cement in the trunk. After a half-decade of problem-free enjoyment we tested the third-generation Miata in Germany in 2006. We were mainly interested in upgrading to a retractable hardtop from the manual softtop. Sadly, the weight of the hardtop turned the nimble roadster into a tugboat. Also, we couldn’t get past the design. That is no longer a problem. When we looked at photos of the fourth-generation car this morning that feeling of excitement returned. Since the new model is 100kg lighter than the current car, if we opt for a hardtop version the roof shouldn't rob the car of its fun-to-drive feeling. Bottom line: This car fits our image of a Miata. Can’t wait to find out if its performance matches its looks.